The name of the association shall be the Association for Canadian Jewish Studies/Association d’études juives canadiennes, hereafter referred to as “the association”. 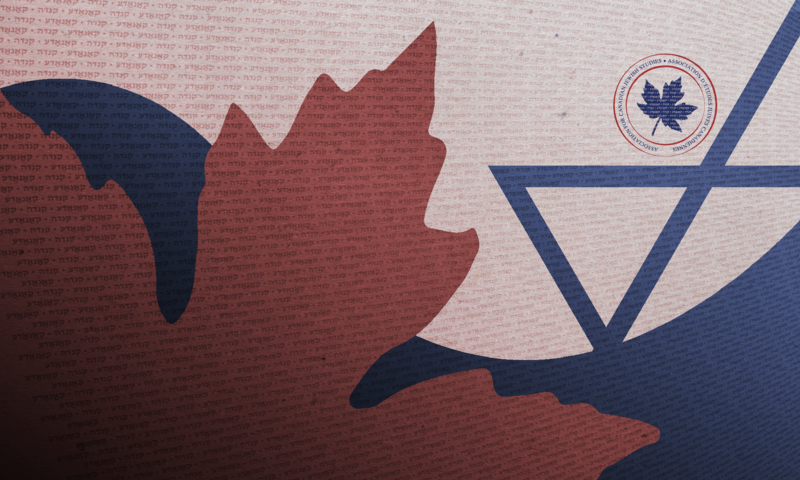 The Association for Canadian Jewish Studies/Association d’études juives canadiennesshall be a national organization established to enable and facilitate the pursuit of the study of the Canadian Jewish experience in all its aspects. a) Objects of the association are the promotion and encouragement of scholarly research and study in Canadian Jewish history, literature, sociology and in other academic disciplines insofar as they relate to Jewish life and culture in Canada. b) Objects of the association are the encouragement and support of the collection, preservation, publication and popularization of materials which relate to the settlement, history, experience and culture of the Jewish people in Canada. c) The association shall work towards the foregoing aims by assisting and participating in related programs with other existing organizations, institutions and universities, and by initiating new programs as deemed necessary. d) The association shall be affiliated with the Canadian Jewish congress and shall act, whenever appropriate, in consultation with regional and local Jewish historical societies, archival groups and academic groups which may from time to time be in existence. Any individual, organization, academic or community institution, and any local or regional Jewish Historical Society or archival institution subscribing to the objects of the Society shall be eligible for membership and may become a member upon payment of the prescribed membership fee. c) academic and community institutions. Fees for the various categories of membership shall be set by the Executive on the recommendation of the Membership Committee. The Executive may also designate other categories of membership in consultation with the Membership Committee. Any member may resign by giving written notice to the Association by supplying such notice to the secretary of the association. Any member whose fees have remained unpaid for two successive years may be suspended from membership in the association. c) Accredited representatives from affiliated academic and community institutions. Membership in the general assembly is contingent on payment of the appropriate dues for the current membership year. Committee of officers, executive committee, membership committee, finance committee, program committee, journal committee, newsletter committee, academic committee, community and archives committee. Officers of the association shall be the president, the immediate-past-president, the president-elect, the secretary and the treasurer. Their seniority shall be according to this sequence: the immediate-past-president and the president-elect serve as vice-presidents. The executive committee shall consist of the officers plus the following standing committee chairpersons: (a) membership, (b) finance, (c) program, (d) journal, (e) newsletter, (f) academic, (g) community and archives plus such other chairpersons as may be appointed by the president in consultation with the officers. The chairs of the journal committee and of the newsletter committee shall serve as the respective editors. 6-7a. All terms of office on the executive committee are for one year only. No one shall serve more than three consecutive terms on the executive committee except through a special two-thirds majority of the votes cast at the annual meeting. The property and business of the association shall be managed by the board of directors, consisting of no fewer than twenty (20) and no more than thirty-five (35) members. The officers of the association shall be elected annually by members in attendance at the annual meeting. Eligible for election are those general assembly members in good standing who have completed at least one year on the board during the most recent three-year period. Other members of the executive committee may also be so elected or may be appointed later by the president in consultation with the officers. The president and the chairpersons appoint members to the respective committees in consultation with the officers. The composition of and the electoral procedures for the board of directors are governed by the addendum to these by-laws. Officers and chairpersons of committees shall carry out the duties as assigned to them by the president and the other officers in accordance with these by-laws (including the addendum) and established practices of the association. a) A position has remained unfilled as of the last membership meeting. B) A member of such body has submitted his/her resignation in writing. C) A member of such body has been dismissed by a 2/3 majority vote among the other members of that body. Any vacancy occurring among the officers, chairpersons or members of the board may be filled by the president in consultation with the officers. The annual meeting of the general assembly shall be held each year, in conjunction with the annual conference, during the months may, June, July or August, and not two years in a row in the same municipality, with at least 60 days written notice to the members. This meeting shall formally constitute the annual meeting of the society. The annual meeting shall receive reports from the board, the executive committee and the committee of officers, hold elections, and conduct all business as may serve the association. The board of directors shall meet after the annual meeting and shall hold at least one additional meeting between annual meetings. Board meetings may be held at the time and place designated by the president, upon at least 21 days written noticed. An agenda shall be circulated to the board members at least five days before the meeting. Except for the board meeting immediately following the annual meeting of the general assembly, board meetings may be held by conference call. The officers and executive committee shall meet at the call of the president. Such meetings may occur in-person or by conference call. A special meeting of the general assembly must be requisitioned by at least fifteen members, residing in at least four different municipalities. Three members of the committee of officers shall constitute a quorum. Five members of the executive committee shall constitute a quorum. Eight members of the board of directors shall constitute a quorum. Twelve members of the general assembly shall constitute a quorum for the annual meeting. The president, in consultation with the officers, shall appoint the chairperson of the nominating committee at least 90 days before each annual meeting. The nominations chairperson shall invite two or more association members to serve on the committee and shall prepare a slate for all positions to be filled at the next annual meeting. The committee shall strive for a balanced distribution within the elected bodies in terms of gender, geography, discipline, and type of membership. Other nominations may be submitted to the chairperson of the nominating committee signed by at least three members of the association in good standing, not less than thirty days before the annual meeting. The names of all nominees shall be circulated to the members by newsletter of by memorandum no less than fifteen days before the opening of the annual meeting. The fiscal year of the society shall be the calendar year. Membership fees shall be due and payable annually before or during the month of January of each year. The by-laws may be amended by a vote of at least 2/3 of the members present at any duly constituted meeting, where 30 days notice of amendment has been given. Auditors shall be appointed at the annual meeting, for auditing the financial books and records and for reporting on same to the next annual meeting. The Registered Office of the Society shall be located in the City of Montreal. The Corporate Seal shall be retained at the Registered Office, in the custody of the President or Designate. B) all other costs, charges and expenses that he/she sustains, or incurs, in or about or in relation to the affairs thereof, except such costs, charges or expenses as are occasioned by his/her own wilful neglect or default. It is the unalterable provision of these by-laws that members of this association shall have no interest in the property and assets of the association, and that, upon dissolution or winding up of the association, any funds and assets of the association remaining after satisfaction of its debts and liabilities, shall be distributed to the to the recognizable charitable organizations in a field of activity, whose objectives most closely accord with those of this association, as determined by its members at dissolution. The general assembly and the executive committee may establish such rules, regulations, procedures, and amendments thereto, not inconsistent with these by-laws relating to the management and operation of the association as they deem expedient. The executive committee rules, regulations, procedures, and amendments thereto shall have force and effect only until the next meeting of the general assembly when they shall be confirmed, and in default of confirmation shall at and from that time cease to have force and effect. The official languages of the association shall be English and French. Members of the association may use French or English, and all official documents shall be in French and English. The association shall adopt Bourinot’s rules of order where these by-laws do not provide appropriate guidance. (a) Annually or from time to time, as may be appropriate, the Association shall present an award honouring an individual, group or institution, who has made significant contribution(s) to Canadian Jewish Studies in one or more fields. (b) At the Board meeting following each year’s AGM, the President appoints a member of the Board to serve as chair of the Award Nominations Committee. The Chair, in consultation with the President, selects two other members to serve on the Committee. (c) Once constituted, the Committee invites names for the award to be suggested by the general membership through announcements posted on the Association’s listserv and in the Fall Newsletter. Names should be accompanied by a short CV outlining the individual’s background and justifying the suggestion. (d) The Committee then discusses the names suggested, privately, and submits one name as its nomination (together with documentation) via the chair, for approval by the Executive Committee. If this name is not accepted, it is returned to the Committee who submit another name, if they are agreed on doing so. This iteration should not go on beyond two or three names, as it indicates a lack of consensus on the Award. It is not necessary to issue the award every year. The Committee should give special consideration to those suggested names of who are in the city where the next AGM will be taking place. This will help ensure strong local support for the presentation and a successful event. (e) Once a name has been accepted by the Executive Committee, the chair of the Awards Committee then has the responsibility to arrange for the event at which the Award will be presented, including the ordering of an appropriately worded commemorative plaque (or similar item) which is presented to the honouree by the President (or designate) at the annual conference (or another event, if that is not possible). The chair works with the Conference Program Chair to ensure an effective presentation venue. Board members shall be elected from the members of the association for a three-year term. Board members shall number a minimum of 20 and a maximum of 35. (a) from among the individual members of the general assembly, any number may be nominated for election to the board. One board member shall be elected from each province in which the association has a member. The minimum number elected from any province will be one, the maximum number elected from any province will be eight. (b) from among the accredited members (see section 4.5a) of the general assembly, any number may be nominated. For election to the board the minimum number elected from this group will be two; the maximum number elected from this group will be eleven. (c) from all members of the general assembly, ten board members shall be elected at large, of whom at least five shall be academics. (d) special attention shall be given to the appointment of women as board members among the various categories outlined above. (e) consideration shall be given to staggering the terms of board members so that approximately one-third of the board comes up for re-election each year. The results of a secret ballot, if held, shall be used to determine the terms of office of those elected, with the longest terms going to those having received the most votes. (f) the president, in consultation with the officers, may co-opt up to five additional members to the board who shall serve until the next annual meeting. Duties of officers and chairpersons (note: this secti0n has been renumbered, following the order of s.5 and 6). 1. The president shall be responsible for conducting the daily affairs of the association in association with the other officers. He/she is an ex-officio member of all committees. The president or a vice-president, along with one of the other officers, shall be responsible for the execution of any contract, agreement or other document on behalf of the association. 2. The immediate-past-president may be assigned such duties as seem appropriate. He/she carries out the duties of the president whenever the latter is unable to do so. 3. The president-elect shall assist the president as required and shall be prepared to succeed to the presidency. 4. The secretary shall keep the minutes and carry on correspondence of the association, in association with the president. 5. The treasurer shall prepare an annual budget, administer the association’s accounts regarding income and expenditures, prepare financial reports for submission to the auditor, and perform other related duties. 6. The membership chairperson shall be responsible for arranging the annual appeal to members, in association with the president, the treasurer and other officers, for supervising the membership records and for initiating and organising membership recruitment. A membership co-chairperson may also be appointed, and each geographical centre shall be asked to appoint a membership committee representative. 7. The finance chairperson shall be responsible for fundraising projects, in co-operation with the president, the treasurer and other officers. 8. The program chairperson shall be responsible for planning the annual conference with the “learned societies” (congress of the humanities and social sciences), or at another location if this seems desirable, with the assistance of committee members. 9. The journal editor shall be responsible for the association’s journal, named Canadian Jewish studies/Association d’études juives canadiennes, in association with an editorial board. 10. The newsletter editor shall be responsible for the Association’s newsletter under the direction of the executive. 11. The academic chairperson shall convene a committee of university academics and other scholars to survey, monitor and promote Canadian Jewish studies at post-secondary institutions. 12. The community and archives chairperson shall convene a committee to deal with matters affecting Jewish archives, community history and heritage in Canada – including advocacy to the Canadian Jewish community, in keeping with bylaw 3 (b) re objects of the association. Membership shall be drawn from affiliated societies and organizations, as well as the general membership. 13. The nominations chairperson shall be responsible for soliciting nominations for the board and for positions as officers and chairpersons and for receiving other nominations. The nominations chairperson need not be a member of the current executive committee or board of directors. 14. An honourary counsel, if appointed, shall be responsible for reviewing the bylaws and suggesting changes from time to time; and shall prepare articles of incorporation and undertake responsibility for other legal duties as may be required. The honourary counsel may be made a non-voting member of the executive committee. 15. The executive committee shall be authorized to hire staff, administrative help and an executive secretary, or to make alternative arrangements for secretarial or administrative help as may be reasonably undertaken with available funds.